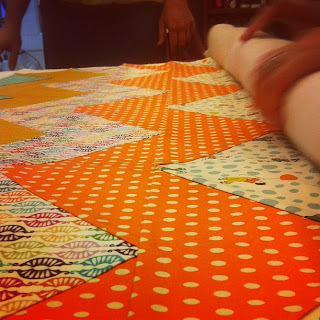 Last Friday we had another fabulous Sew Club. Everyone worked on their own little projects and it was fun to catch up, drink wine and let our brains tinker on creative things after a long work week. What started as a group of 5 friends 3 years ago has grown to 13! 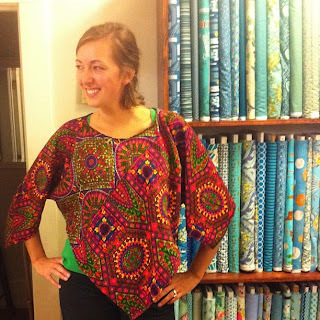 We probably have 5 or 6 sewists come each month, and it works out perfectly for the cozy Cool Cottons space. I always leave Sew Club so much happier than when I arrived. It's a good feeling to be part of a community and to create things that you didn't think you could. 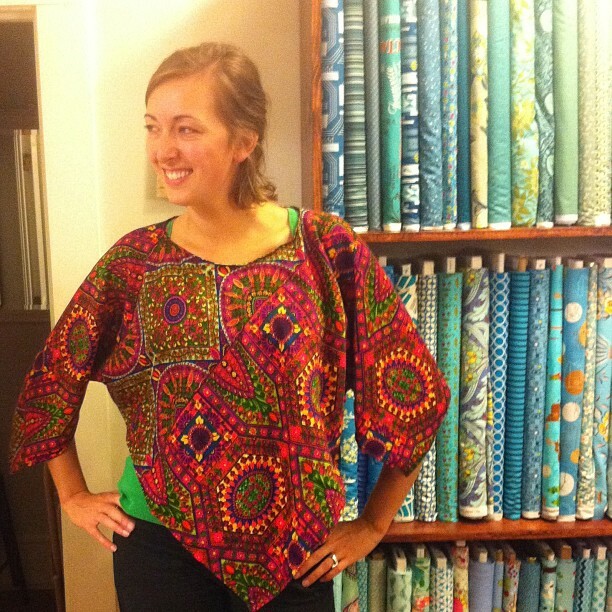 The fabulous Jennifer, with her vintage fabric poncho that she designed!